Chopes (the hot head) is renowned as one of the heaviest waves in the world. It undoubtably takes the crown for the most feared wave on the ASP world tour. The Billabong Pro kicks of this weekend and fingers, arms ands legs crossed, it looks as if there’s a swell on the horizon. 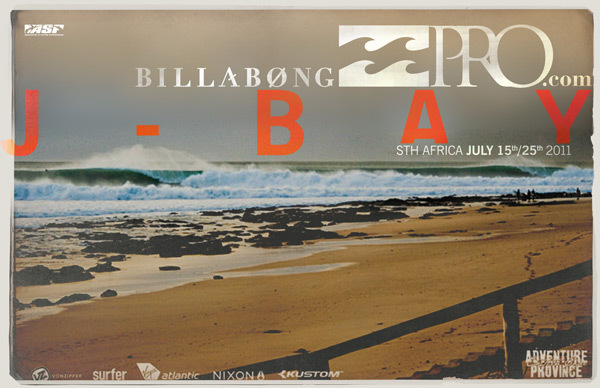 Surf News – Billabong Pre Jeffreys Bay LIVE now!!!!! The comp which is supposed to be pumping for the duration has been less than adequate thus far. But ladies and gentlemen-now its pumping!!! 4-6ft light offshore and big and wackable. Some Adriano De Souza-world number 1, has been knocked out by fellow countryman Alejo Muniz. The 3 man non-elimination rounds are on their way up so check it out. Surf News – Kelly Slater = super freak? Ask yourself a question. In any sport worldwide, can you name a single competitor that has won a world title 20 years on from his first world title? No? Because it’s never happened. Kelly Slater is the youngest and oldest competitor on the World Tour to ever win a world title-and yes, another 8 in between them. 10 world titles and still going strong. There is no other sportsman/women who has achieved this amount of success in their career. He is a freak, a super freak! There were big question marks over wherever Kelly would surf in the 2011 World Tour. To be honest, I like the sound of 10 better than 11 and would have probably called it a day and went free-surfing for the rest of my life. But I’m not Kelly, obviously. Maybe the fiercest competitor out there, he seems rattled that he’s currently sitting in a disappointing 3rd!! To most, 3rd would be enough, but only poll position will satisfy the 38-year-old. With Jeffreys approaching, people are questioning wherever he will even show. I’m guessing he will. I’m guessing he will absolutely smash it and climb back to 1st or 2nd in the world ratings. If he doesn’t,if he goes out early and slips even more places, I believe South Africa will be the last stop on the world tour for Kelly. Surf News – Kolohe Andino is on fire!!!! This kid is non-stop at the minute. He is absolutley smashing everything. Perfect 10’s, 1st place finishes, huge airs and now, coverboy of Transworld Surf Magazine. One of the worlds biggest surf mags, Kolohe has deservadly bagged the top spot with an awesome shot of him blowing the fins and throwing some spray. And another 10 here at Lower Trestles. Absolutley ripping!! Kolohe Andino wins USA Championships from Nike 6.0 on Vimeo. Surf News – Nike 6.0 nightsurf?? 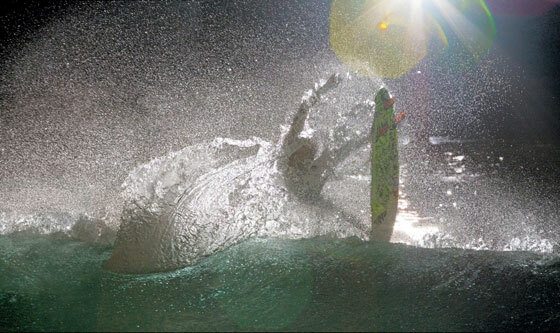 Surfing at the best of times can prove challenging for most, but at night? Held at England’s surf hub; Fistral beach, Newquay, this is going to be a very special event. The hottest European surfers will be there competing in a range of divisions for a share of £15,000 prize pot. Nike 6.0 arealso going to be hosting’cash for tricks’ . A 5 star event which basically does exactly as it says; boost a big air, nail a huge reverse or rail a huge floater and your in with a chance of bagging some money for your efforts. If your in the area on July 8th – 9th take a look. Theres going to be plenty going on and a day/night out for all. Jordy Smith is in to the next round, beating giant killer Sean Holmes. Its live now, so have a gander! Conditions improved slightly from yesterday but still windy! A few dredging barrels on offer tho! Blake just got a 9.63 with a super deep tube. Whilst the men on the ASP are heading over to Jeffreys Bay, SA, the women are getting ready to flock over to Biarritz, France. The home of European surfing, Biarritz will play host to the ASP Womens Longboard event and the ASP World Title event. With the world title race officially on, Carrisa Moore seems to be extended the gap between poll position and the rest of the field. If all the elements combine, the young Hawaiian has the chance to bag the title at this early stage in Biarritz. Tour ripper Laura Enever has been chilling with just one week to go. Taking a little time-out from the World Tour pressures is sometimes needed. Although she has bagged herself a few sweet little waves at the same time-off course!! Check her out here sucking helium, smashing some waves, and visiting the Nike 6.0 HQ.